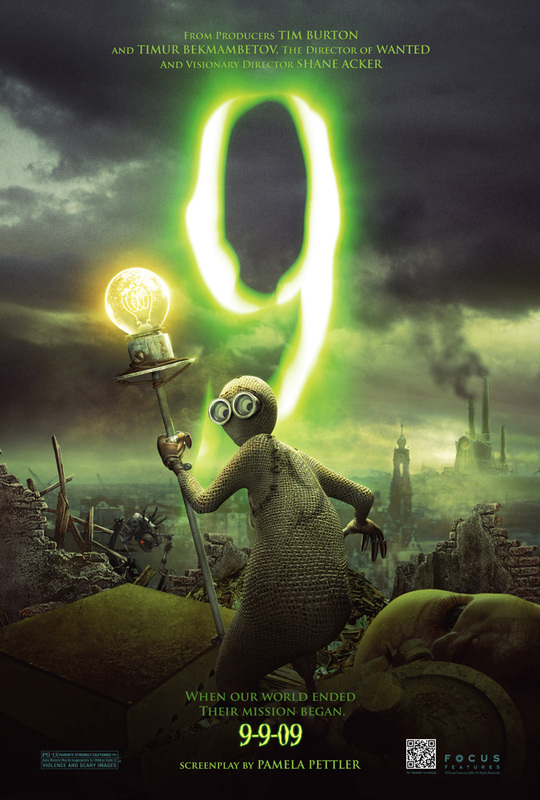 In 2005 an architecture student at UCLA by the name of Shane Acker released an 11-minute silent CG animated short film called “9″ that had been produced in his spare time over four and a half years. Another four years later and it’s been developed into a Tim Burton-backed feature length film (here, like The Nightmare Before Christmas, Burton is the executive producer, not the director). In an interview with Shane in Frames Per Second magazine (check out the whole thing, it’s a good read), he names some of his favourite movies as Brazil, The Thing, Aliens and Delicatessen and you can certainly see the influence of those films come across, both in his original short and in the trailer for the new film. 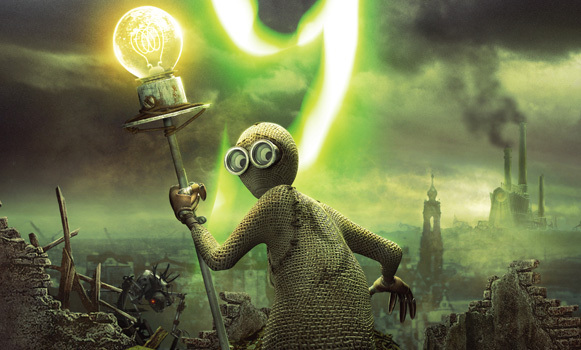 Uploaded by FrFKmeron – Arts and animation videos. It’s interesting to note that the forthcoming film is a talkie — and an all-star voiced one at that. I’m always a bit wary when I see an animated film with so many A-list actors on-board, as if they’re being used as the pull to see it rather than the merits of the movie itself… we’ll have to wait and see.